Personal and convincing pictures, right? From Soulcatcher Studio: Soulcatcher Studio, in Santa Fe at The Lofts, iis profoundly respected to display the world debut of Callie Shell's presentation, Barack Obama: Road To The White House. Shell has put in the previous two years capturing Obama as an agreement picture taker for Time magazine. More than some other picture taker, Shell has possessed the capacity to catch the hidden side of Barack Obama, off camera and naive, in situations where nobody gets the chance to see him. In the process, she has progressed toward becoming what one Obama staff member called "an individual from the family." It is evaluated that to date Shell has caught about 400,000 pictures of the Obama battle and the occasions that encompass it. This display incorporates a few beforehand unpublished pictures, alongside many pictures that have turned out to be known far and wide. You can access the online exhibition here. Visit us in Santa Fe at The Lofts. Open Tuesday - Friday, 10 AM to 5 PM, Saturdays by appointment. Sign up for our free monthly Email newsletter featuring artist news, special offers and much more. Just send us an Email at info@soulcatcherstudio.com that includes your full name and put "mailing list" in the message header. Afterwards, Gov. Bill Richardson will host private fundraisers in Albuquerque and Santa Fe to help Hillary with her campaign debt. I'm sure all our U.S. House, U.S. Senate, State House and State Senate candidates are thrilled. I know I am. Let's pull more money out of the state, why don't we! 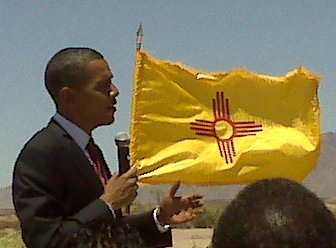 As for Barack, his campaign has announced he'll be visiting New Mexico on Monday, but no other details are yet available. I hope he does a big public event somewhere in a more rural part of the state, not in Albuquerque or Santa Fe. We're already for Obama -- he needs to reach out to other areas that gave strong support to Hillary in the primary. Above all, this irony emerges: Clinton ran on the basis of managerial competence—on her capacity, as she liked to put it, to “do the job from Day One.” In fact, she never behaved like a chief executive, and her own staff proved to be her Achilles’ heel. What is clear from the internal documents is that Clinton’s loss derived not from any specific decision she made but rather from the preponderance of the many she did not make. Her hesitancy and habit of avoiding hard choices exacted a price that eventually sank her chances at the presidency. What follows is the inside account of how the campaign for the seemingly unstoppable Democratic nominee came into being, and then came apart. Bill Richardson to Raise Money in NM for Hillary Debt? Clinton accomplice James Carville may have called him "Judas" when he bolstered Barack Obama over Hillary Clinton in March, yet that isn't ending Gov. Bill Richardson D-NM., from offering to raise money to help Sen. Clinton leave her immense fight commitment. "We've been made a demand to offer help. So on an essential level we will help," Richardson revealed to ABC News in the wake of watching out for people from the Democratic Leadership Council in Chicago at the direct social affair's yearly gathering. "I think the social event needs to get together," he included. ... Gov. Richardson at that point said that he has seen some confident indications of the gathering sewing itself back together and that he "will be included in an obligation occasion for Sen. Clinton in New Mexico." He later included that the occasion still can't seem to be booked. Remember, Gov. Richardson is also working on getting rid of campaign debt from his own presidential run. According to the AP, it's now down to about $285,000 -- no match for Clinton's debt of about $10 million owed to vendors plus $12.2 million in personal loans to her campaign. Maybe the Governor can host some two-fers, not to mention some events for our THREE U.S. House races and U.S. Senate race. More than 25 tables were filled with big-name Democrats, mostly from South Florida. Perhaps the biggest name at this dinner was one of Barack Obama’s possible picks for vice president. "I’m not launching any campaigns," said New Mexico Governor Bill Richardson. "It’s his decision. If it doesn’t happen, I’m still going to be very happy." "I’m still Governor of New Mexico. I still can ride my horse in the morning, keep my beard." Aha! A flip-flop on the beard? Lately, Gov. Richardson has been saying he'll be shaving off his beard any day now, but the quote implies it's here to stay -- unless he gets picked for VP or another job by Obama. Regardless of who Obama chooses, Richardson says he should wait to announce his decision right before the Democrats' convention. "There’s a short list and I’ve seen my name on some short lists," said Richardson "I think Senator Clinton is a strong candidate. I think there are a lot of other candidates that would bring strength to the ticket." 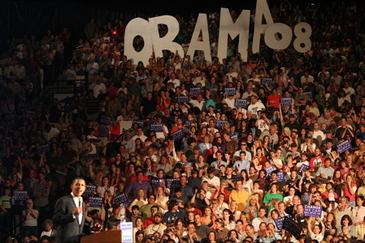 Richardson’s goal at this event was to unite Florida Democrats, by luring Hillary Clinton supporters into Obama’s camp. The former presidential candidate also wants Florida's large hispanic population, including Cuban republicans. "We’re ready to lift the embargo, but we want Cuba to become more democratic," said Richardson. When it comes to the high cost of fuel, the former energy secretary in the Clinton administration says he would focus more on conservation and renewable energy. "There’s so many things we need to do where we need presidential leadership," said Richardson. "Instead of drill, drill, drill, the way John McCain and President Bush want to do." Richardson says he opposes drilling of the coast of Florida and California. He calls it bad energy policy that would not lower fuel prices until 2030. Bosco the peach-faced lovebird is high on life these days, what with Obama winning the Dem nomination for president and George Bush -- known in the avian world as George Chimpface -- on the way out. 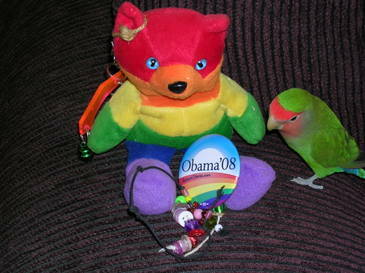 All the birds in our house are Obama fans, as are the humans. And we've all been on a long journey together doing everything we can to stop Chimpface's antics. You can see Bosco above, fighting beak and nail against the likeness of George Chimpface. Obviously, Bosco can't abide Bush. He can't wait till Chimpy leaves Washington, and neither can we. Now, at last, we can see the light at the end of the tunnel coming in January, when Chimpface Bush will finally be forced to leave office. If we all do what we need to do now to help Barack get elected, he can begin righting the many wrongs perpetrated by one of the most unpopular and stubbornly anti-Constitutional presidents in history. Even the birds will be full of hope at the prospect of real change. 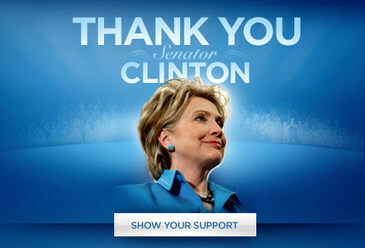 Minutes prior, Senator Clinton authoritatively reported her help for Barack Obama. Hillary Clinton left a mark on the world in the course of recent months - not on account of she has broken obstructions, but rather in light of the fact that she has enlivened a huge number of Americans with her quality, her strength, and her sense of duty regarding causes like all inclusive social insurance that have any kind of effect in the lives of all Americans. If it's not too much trouble pause for a moment to express gratitude toward her for her diligent work and for supporting this battle. 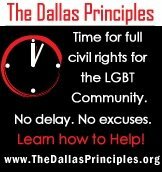 Obama's website is displaying the above message and I wanted to include it here. You know how hard I can be on both Hillary and Bill Clinton, but today is the day for coming together, as Democrats and as human beings who want to join forces and defeat the negative forces that have been pulling us down for too long in so many critical ways. Now we demand to unite behind our best hope for change at the national level, reach out to everyone who has been active in this extraordinary primary season, join our energies and work for the development door to door, phone call by phone call, dollar for dollar, up and down the ticket. Lives are literally in the balance. I thought Hillary Clinton gave a soaring and inspiring concession speech today that hit all the right notes, gracefully and with dignity. She brought home the truly historic nature of her campaign, and articulated beautifully so many of the ideals and values we share as Democrats -- for equality, for justice, for the environment, for peace, for lifting one another up, for creativity and gumption, for moving humans forward into better ways of relating, working and being. And work together despite our differences to replace fearmongering with hope this November. 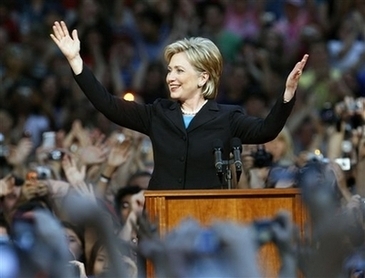 As Hillary said, echoing Obama's moving message: Yes We Can. Of course the true test of HIllary's dedication to a presidential win for us this November will come in seeing what actions she puts behind her words, and the kind of commitment she urges her supporters to make to Obama as we go forward. But today, I feel relieved, optimistic, fired up and ready to go. I'm that corny. And that Democratic at my core. Transcript. Videos of entire speech. New York Times live-blogging of event, with photos and quotes. Essentially figure the sum more propel we could have made over the span of late years if we'd had a Democratic president. Consider the lost odds of these past seven years on nature and the economy, on social protection and social freedoms, on guideline, remote approach and the Supreme Court. Imagine how far we could have come, the sum we could have achieved if we had as of late had a Democrat in the White House. We can't disregard this moment. We have come too far and completed unnecessarily. Directly, the campaign ahead won't be straightforward. Some will state we can't do it, that it's too hard, we're essentially not up to the task. In any case, for whatever time allotment that America has endured, it has been the American style to deal with expel can't-do claims and to pick rather to broaden the cutoff points of the possible through persistent work, confirmation, and an initiating soul. It is this conviction, this positive suspecting that Senator Obama and I share and that has breathed life into so a substantial number of our supporters to make their voices heard. So today I am staying with Senator Obama to state: Yes, we can! I didn't go to the Dem Party celebration at the Albuquerque Convention Center last night because I've been to a few where the tense excitement morphed into achey depression as too many losses scrolled across the tv screens. Even the balloons and cheese platters didn't help. I couldn't take another one like that, although it turned out to be just the opposite this time. Wonderful wins for so many I supported. But last night I wanted to watch Hillary Clinton give her concession speech in prime time and start applying her clout to unifying the Party behind our candidate. I wanted to take in every nuance of Barack Obama stepping up to the podium in victory, making history in an arena full of faces showing amazement at the audacity of of the achievement. He did it. We did it. We won, against all odds. But it was not to be. In a petulant and selfish display of I, me, mine, Hillary refused to concede. And even though Obama gave another shining, spinetingling speech, Clinton's reality-challenged spectacle in New York managed to drain more than a bit of the dazzle from a night that should have been all Barack, and all unity. I will never forgive her and I don't think any Dem worth his or her salt should ever forgive her either. To call her performance classless and without grace is to put it mildly. The word is that she's angling for ... something. She claimed she just wants to make sure all those "invisible" people she alone represents (according to her, anyway) get the respect they deserve. Right. And how does SHE respect these folks? By asking them to dig into their already picked pockets and cough up more dough to pay her campaign debts. She's that shameless. The Clintons earned, what is it, $129 MILLION dollars since Bill left office? And she's hounding her vaunted working class base for more money to pay for the delusional ego trip she's been on for months -- despite no reasonable chance of winning. Oh she's a champion of the down and out, isn't she? I've long had problems with the DLC-brand of pseudo-Democratic politics triangulated by the Clintons. I've long resented how they've mocked Howard Dean and activists and the 50-state strategy. But now I've lost all respect for them. Every iota of respect. Clinton's campaign has been leaking nonstop about her interest in the VP slot. I hope Obama has the sense and the strength not to bite. Can you imagine the clearly vindictive and spotlight-addicted duo playing second fiddle to Obama? No, I can't either. The specter of Bill and Hillary on the campaign trail or in the White House again -- haunting Obama -- is now beyond distasteful after last night's delusion-fest in New York. The Clintons have now officially jumped the shark. Hey Hillary, time to get off the stage. The votes are in. And you lost. And if Hillary won't do what's right for our candidate and our Party, she should be hounded out of the picture by every Dem with an ounce of clout. Now. Right now. I'm glad to see that Tom Udall endorsed Obama, as did 17 others so far today. 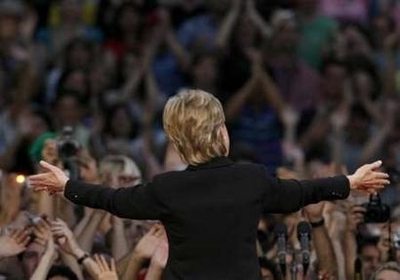 Now it's time for the rest of the Dem leadership to be brave and tell Hillary exactly what she needs to do to start rallying the Party around Obama. Enough is enough. Perhaps most importantly, Hillary's supporters need to give her the news. Finally, some are. And the Dem presidential primary ends and the general election begins. ... When the results of the last two Dem primaries in South Dakota and Montana come in and Hillary Clinton concedes to Barack Obama. It's now being reported that Clinton will acknowledge tonight that Obama has the delegates needed to secure the nomination, and effectively end her presidential bid. She'll be giving a speech in New York this evening, while Obama holds a huge victory rally in Minneapolis at the arena where the GOP will crown McCain at their convention this summer. His campaign will be revealing groups of endorsements throughout the day from superdelegates. ... When we finally learn whether Rep. Tom Udall will face Rep. Heather Wilson or Rep. Steve Pearce on the Repub ticket in the U.S. Senate race. A just-released SurveyUSA poll shows Pearce-Wilson in a dead heat on the eve of the election. We'll also see if a late endorsement from Sen. Pete Domenici will put Wilson over the top. 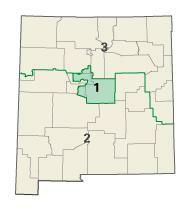 Wilson would need a huge turnout in the Albuquerque area to win. SurveyUSA still has Udall trouncing Pearce 60% to 35% and Wilson 60% to 36% in November. ... When we see if a recent 11% edge in the polling numbers holds and Martin Heinrich beats out Rebecca Vigil-Giron, Michelle Lujan Grisham and Robert Pidcock to snag the Dem nomination for Congress in NM-01. ... When we discover if Bill McCamley's grassroots-fueled ground game beats Harry Teague's oil money run for the Dem nomination for Congress in NM-02. There's also a highly competitive race with gobs of money being spent on nonstop TV ads on the Repub side in this District. Will the winner be Ed Tinsley (the favorite), Aubrey Dunn, Earl Greer, Monty Newman or Greg Sowards? In a contest with this many candidates, anything can happen. ... When we learn who'll be the new U.S. Rep. in NM-03 in a fiercely fought, down-to-the-wire Dem primary contest between Don Wiviott and Ben Ray Lujan, Jr., with Benny Shendo, Jr. and Harry Montoya also expected to get some significant support. The winner of tonight's primary will undoubtedly win in November in the overwhelmingly Dem district. ... When we discover if clean government, reform-minded Dem challengers in Albuquerque area State Senate and House races can overcome the incumbent clout in races like those that pit Eric Griego vs. Sen. James C. Taylor, Tim Keller vs. Sen. Shannon Robinson and Eleanor Chavez vs. Rep. Dan Silva. And will John Blair snare the Dem nomination vs. Tim Eichenberg? There are also many other legislative and county contests on the ballot, PRC primaries, and judicial races at the Metro, District and Supreme Court levels. A significant number of them are uncontested. The polls in New Mexico close at 7:00 PM tonight. If the Secretary of State's website is, by chance, functioning correctly tonight, we should be able to track results there. Many county clerk websites will have county race results. Various New Mexico newspapers, radio stations and TV news outlets will also be providing comprehensive results on the air and on websites. I'll be linking to some of them later today when the results start coming in. Record Turnout Expected in NM? In the state's 2006 essential race, less than 181,000 Republicans and Democrats voted in the best level challenges—an assume that spoke to under 21 percent of qualified voters. Secretary of State Mary Herrera anticipated Monday that the four open congressional seats this year will help drive a record turnout today. "Voter turnout ought to be up in the 30s," Herrera stated, alluding to the rate of enrolled voters anticipated that would cast polls today. "I'm expecting the most elevated turnout in history for an essential." Bernalillo County Clerk Maggie Toulouse Oliver said turnout is up altogether this year, in view of early voting. Non-attendant balloting is about twice as substantial not surprisingly, and the quantity of tickets thrown at early-voting areas was up by around 33%, Toulouse Oliver said. "Turnout is essentially higher for right on time and truant (voters) contrasted with the 2004 and 2006 essential decisions," she said. Bernalillo County, the state's most crowded, has sent out approximately 22,000 non-attendant polls—around 15,900 of which have been returned. Around 7,500 are from Democrats, and around 8,400 from Republicans. Around 17,200 individuals cast votes at early-voting areas in Bernalillo County. Democrats totaled around 9,300 of the votes and Republicans around 7,900. Refresh 3:00 PM:The reports rolling in from regions are generally saying something else, portraying light turnouts in numerous ranges of the state. Assuming genuine, it's a discouraging improvement given what's in question in this essential. Perhaps we should begin expecting individuals to breeze through a civics test before they can get a driver's permit. Chelsea Clinton will be in Albuquerque tomorrow, Friday, May 30th, 2008, at the Marriott Uptown at 2101 Louisiana Blvd. NE at 5 pm for a "Meet and Greet" with young Democrats. Click for map. 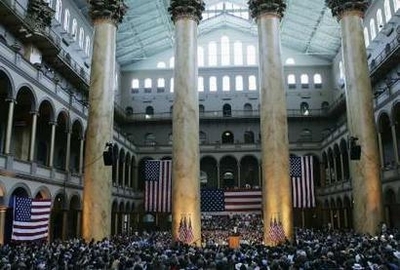 This event is associated with the Democratic Women's Convention. Tickets are free at the door. For more information contact Antonio Sandoval of the New Mexico Young Democrats at ae_sandoval@msn.com. Please note that the Young Democrats of New Mexico has not endorsed any candidates in the primary season. We encourage and promote young people to engage in the political process. The Tom Udall campaign liveblogged the Dem Party of New Mexico's demonstration in Los Ranchos de Albuquerque today protesting George Bush's fundraiser for NM-01 candidate Darren White and the state GOP. Click to see the recorded video of the event. Participants included reps from the AFL-CIO, AFSCME, Tom Udall's campaign and UNM College Dems, as well as State Dem Party chair Brian Colon, NM-01 Dem Congressional candidate Martin Heinrich and Janice Saxton, Dem candidate in NM House District 22. KRQE News 13 has this video of Bush's arrival in Albuquerque and the protest in Los Ranchos de Albuquerque. 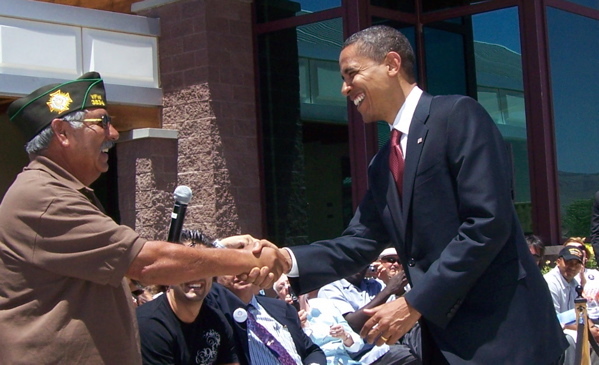 DPNM Chair Brian Colon: "You know, Darren has been critical of the administration but he got a lot less critical when he had the opportunity to get some money from Bush's supporters. "That's not acceptable." NM-01 candidate Martin Heinrich: "It's disappointing to see Darren White continue to embrace the president at a time when the administration's failed policies are hurting New Mexico families." By the way, the Udall campaign is seeking 1000 donations between now and when the polls close for the primary election on June 3rd to offset the effects of the big bucks being raised today in New Mexico for Republican candidates. You know what to do. These photos (click on images for larger versions) show Barack Obama appearing with Gov. Bill Richardson yesterday at a Memorial Day gathering of about 200 veterans and their families at the New Mexico Farm and Ranch Heritage Museum in Las Cruces and talking about veterans' issues. Gov. Richardson introduced Obama before a backdrop of the Organ Mountains. In his introduction of Obama, Gov. Richardson said, "He's a man of principle and impeccable character. He's a patriot who loves this country with all of his heart. He's an extraordinary leader, a once-in-a-generation leader." Obama gave a short speech honoring veterans and describing ways he would work to vastly improve veterans' benefits. After his remarks, Obama took questions from the crowd. 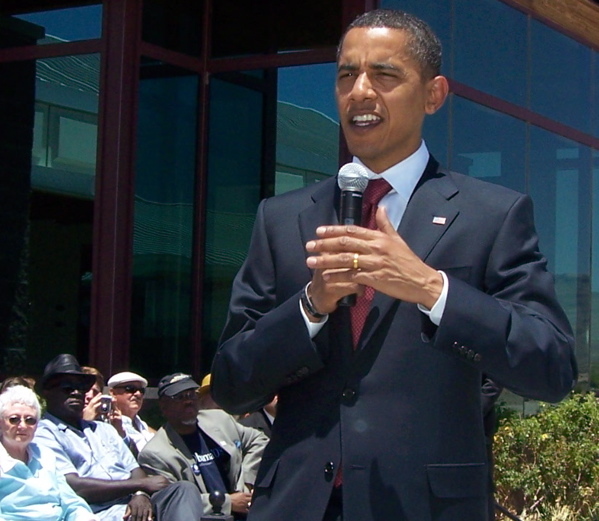 Obama and Richardson later made a surprise stop at the Las Cruces Veterans Memorial Park to lay two large wreaths honoring local veterans. Thanks to Ellen Wedum, who's running for for State Rep in District 59, for passing along these photos taken by NM Rep. Nathan Cote of HD 53, himself a Navy veteran. 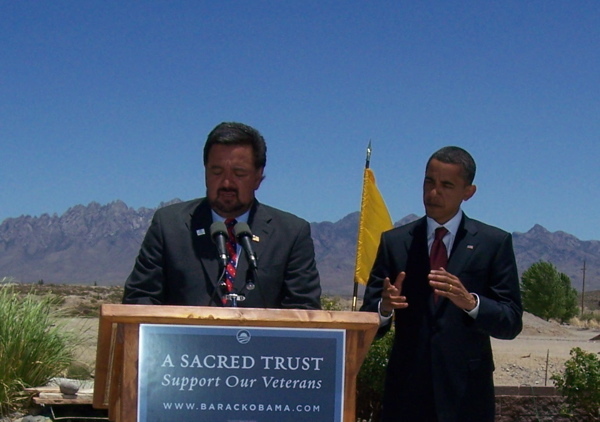 In an article about Obama's visit in the Las Cruces Sun-News, Rep. Cote was quoted as saying Obama was knowledgeable about veterans issues. 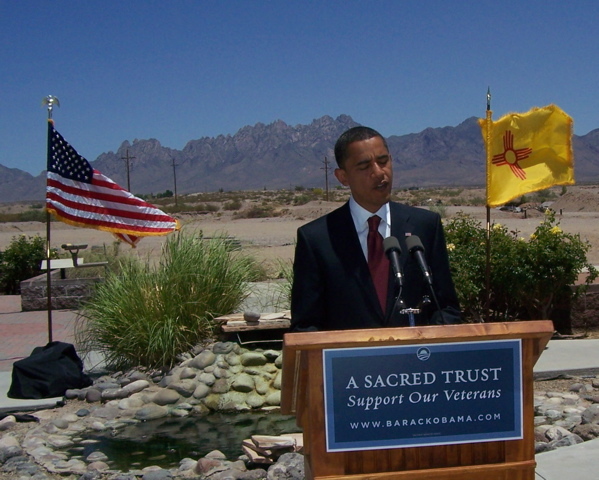 "I think it was extraordinary for Las Cruces and the vets of Las Cruces," he said of Obama's visit. The Sun-News also has a nice collection of photos and videos of Obama's visit. Above is a video of Obama's remarks in Las Cruces provided by his campaign. Click for the text version of his speech. The Obama website also has photos of the wreath laying at Veterans Memorial Park. And be sure to check out the coverage of the Las Cruces events in today's New Mexico Independent. More photos of the day's events at Yahoo News.